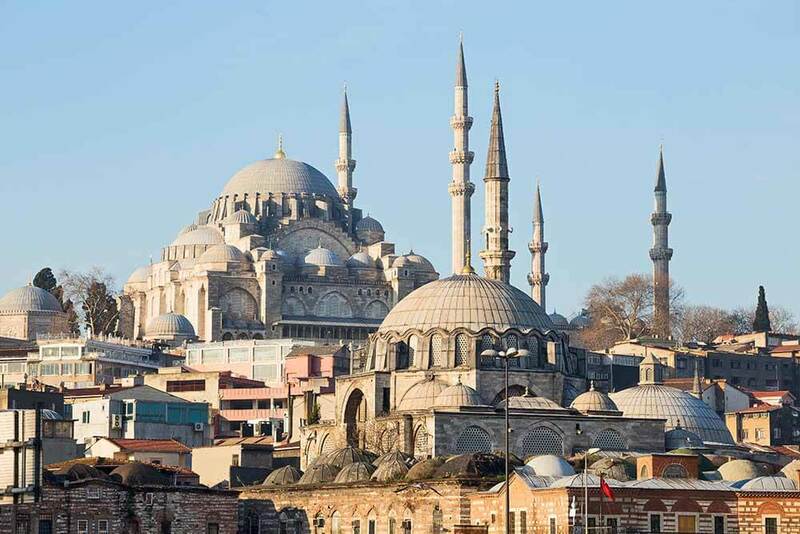 One of the most fertile geographies for Islamic tourism is Anatolia, especially during the month of Ramadan, where you can make different plans for Islamic sightseeing tours. We have identified different routes related to Islamic artifacts, mosques, and shrines that you can see in Anatolia, both during and not during Ramadan. After seeing the Museum of Turkish–Islamic Arts in Edirne, you can complete the visit to Hersekzade Ahmet Paşa Mosque, Muradiye Mosque and spend half a day at Edirne Selimiye Mosque, which is the cornerstone of Architect Sinan’s life. Visit the Ottoman–era works in Tekirdağ such as Rüstem Pasha Mosque, Mirliva Mosque, and Ayaz Paşa Mosque. After visiting the Grand Mosque and Green Tomb in Bursa, witness the period of the Ottoman Empire at the Orhangazi Mosque, Sheikh Edebali Tomb, and Ertuğrul Gazi Tomb in Bilecik. Rustem Pasha Mosque and Suleymaniye Mosque, Istanbul, Turkey. Visit the Zağanos Pasha Mosque and Complex, Yıldırım Mosque, and Sarıkız Tomb in Balıkesir. The historic mosques in Manisa, Muradiye Sultan Mosque and Manisa Ulu Mosque, are waiting for your visit. Go to the Kestane Pazarı Mosque in İzmir and to Şadırvan Mosque, which is similar to a pearl, according to Evliya Çelebi, and then to Hisar Mosque. After seeing the Grand Mosque in Uşak, stop by the Burma Mosque and the Çakaloz Mosque. Ahi Bayram Tomb, Ahmet Gazi Mosque, and Çiftlik Tomb should also be visited in Aydın, which is famous for holiday resorts. Visit the historic Yalı Mosque in Bodrum and the Grand Mosque in the center of Muğla. The place where is located the tomb of sarikiz and today is Sarikiz Hill . Sarikiz holy place in mount ida of Edremit town at Balikesir, Turkey. Visit the 200–year old wooden mosque in Zonguldak Çaycuma district, which has been made without nails. Bartın, near–era mosques Halilbey and Şadırvan Mosques should be in your itinerary. You can also visit Amasra Fatih Mosque, which is close to Bartın. You can reserve two days in Kastamonu in Turkey, where most of the tombs of Islamic scholars exist. Nasrullah Mosque, Ismail Bey Complex should be visited together with the tomb of Sheikh Şaban Veli. 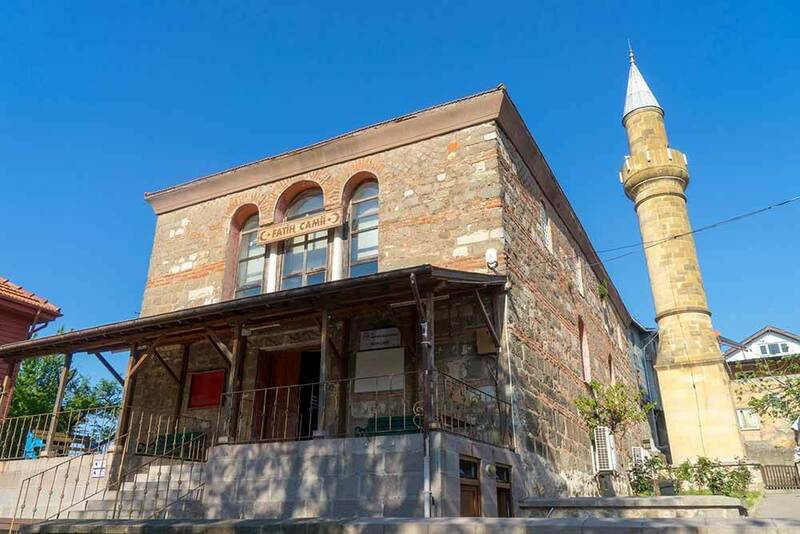 While in Kastamonu, do not forget visiting Mahmutbey Camii, which is 700 years old! In addition, Müfessiri Alaaddin Tomb, Yılanlı Dergahı, and Aşıklı Sultan Tombs must be visited. Çorum Hıdırlık Mosque and the mausoleum tombs near it should be visited as well. Akşemsettin Mosque, which belongs to the founding period of the Ottoman Empire, should also be seen. Amasra Fatih Mosque. Amasra, Turkey. Visit the Haji Bayram Mosque in Ankara and then Ahi Şerafettin tomb. Kocatepe Mosque is quite familiar among the community. You can also visit Ağaç Ayak Mosque. In Eskişehir, see Alaaddin Mosque, Kurşunlu Mosque, and Reşadiye Mosque. 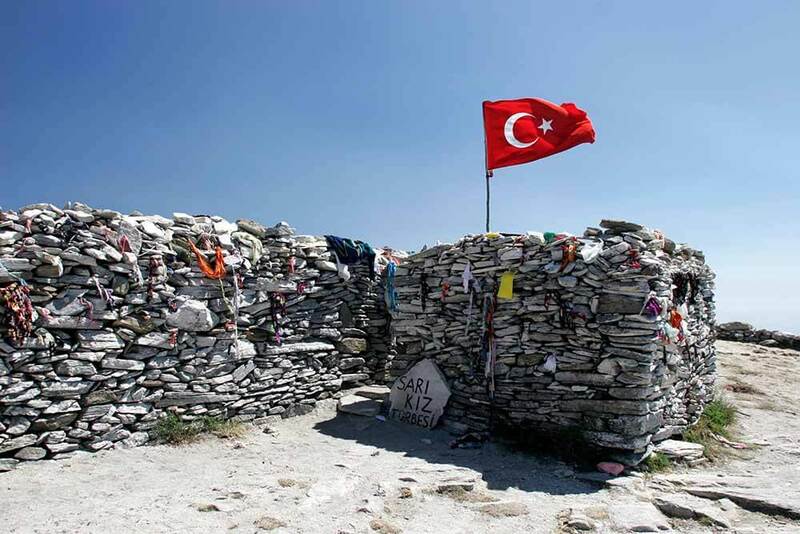 Be sure to visit Yunus Emre Tomb. Visit the Mevlana tomb and museum in Konya and attend the whirling dervishes ceremony. 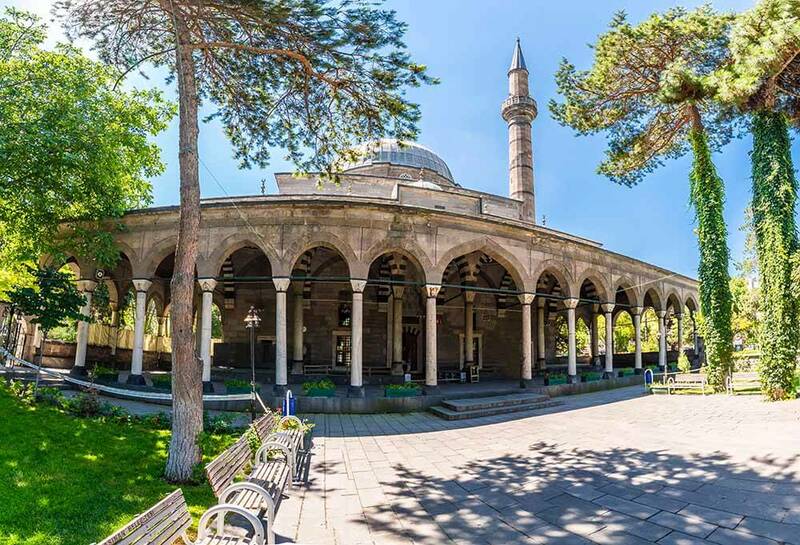 After visiting the tomb of Zeynel Abidin and Koyunbaba tomb in Kayseri, see Kurşunlu Mosque, the work of Sinan the Architect, and stop by the Hunat Mosque. Visit Hacıbektaş Museum and Damat İbrahim Paşa Mosque and Complex in Nevşehir. In Sivas, Divriği Ulu Mosque is very popular. After that, visit the tombs of Ahi Emir Ahmet and Şemseddin Sivasi. Kursunlu Mosque in Kayseri City. 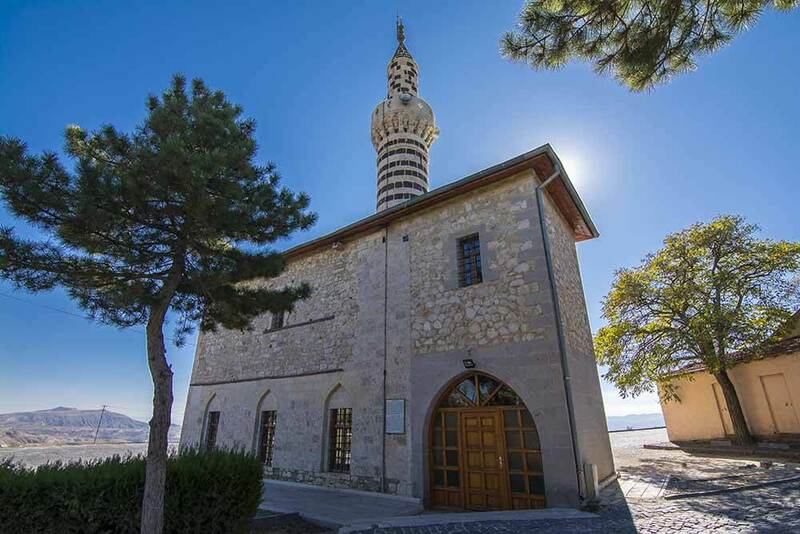 Visit the Orta Mosque and Gülabibey Mosque in Kemaliye district of Erzincan, and see the Tomb of Sultan Melik. You can also visit Terzi Baba Tomb in city center of Erzincan. Visit the tomb of the Battalgazi Grand Mosque in Malatya, and then visit the Tomb of Hasan Basri. Then move to Elazığ, and visit the Arab Baba mausoleum after seeing the Alacalı Mosque in Harput. Visit the Mausoleum of Sheikh Ahmet Efendi in Bingöl. Erzurum Grand Mosque is very popular in Erzurum, and Rüstem Pasha Mosque should also be visited. You should definitely see the tomb of Erzurum Dede and the tombs of Abdurrahman Gazi. Beyazit Eski Mosque in Ağrı and Ahmet Hani Mausoleum should also be seen. Visit the tombs of Ören Kale together with the Great Mosque of Van. Alacali Mosque in Harput Town in Elazig Province.